So, I rarely go for “celebrity collabs” with established beauty brands. I don’t know why, but it’s like I’ve developed a subliminal aversion to these types of things. Go figure. 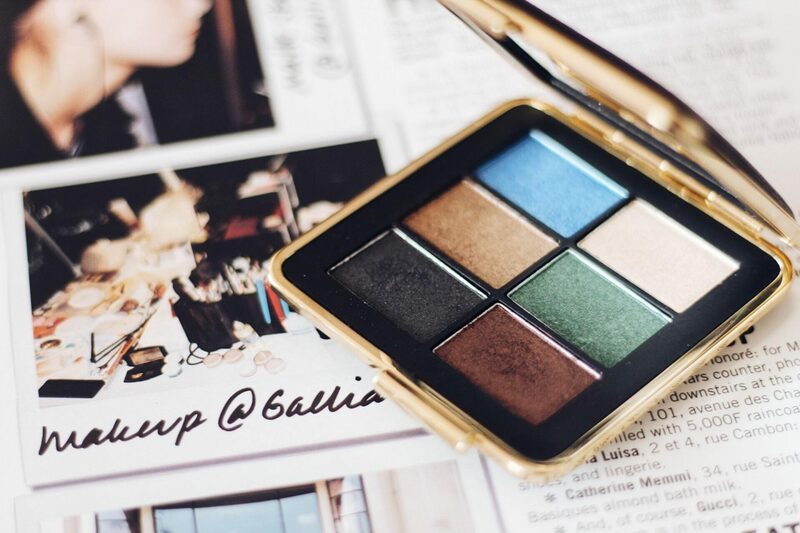 Not sure how I actually found about the collaboration between former Spice Girl, Victoria Beckham and Estée Lauder, but I became increasingly intrigued when I saw the collection browsing the interwebs. And the fact that I saw Victoria herself applying makeup in one of the most decadent of hotel bathrooms in a recent video, made me more curious. To be honest, the packaging is what got me. I’m a huge sucker for packaging! The luxurious faux leather black and gold compacts sent me over the Moon and out into the stratosphere! I knew I had to have it! The first collection launched in 2016 and I missed grabbing a piece from the collection for myself. But with this current launch, I was not going to miss out again. One of the pieces I wanted was the Victoria Beckham Eye Palette. When I tried to purchase it online, it was pretty much sold out. I went to the Neiman Marcus by my job to purchase something else and I stopped by the Estée Lauder counter and saw that they had the palette available, so I quickly scooped it up. Seeing the shades online, I knew the palette was a winner because it contained shades I actually wear. But this was not a cheap purchase at all. The price tag was $95, which breaks down to roughly $16 per shadow. All shadows can be worn dry for a soft effect and wet for intensity. Each shade is formulated with innovative dual-purpose pearlized pigments that have a translucency that allows them to both reflect and pull light into the formula for a luminous finish. The one thing that I love about the entire Victoria Beckham X Estée Lauder line is that all of the products are classic and totally wearable. Yes, it’s pricey, but if you want to splurge on something that you know you will actually wear, it’s worth it. I really don’t need anymore makeup, but I have my eye on two more items–the Morning Aura Illuminating Creme and the Bitter Clover eye shadow. Coming soon in another post!